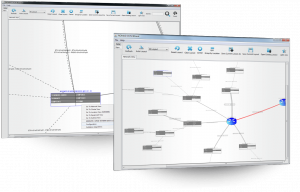 The DCN Design Wizard makes it easy to plan, deploy and extend DCN Networks. Data Communication Networks (DCNs) can prove tricky to configure, with heterogeneous, unaligned data and equipment. DCN Wizard is one of the nomad Network Lifecycle Wizards, targeting microwave network optimization. This standalone desktop application is unique in its ability to help you design, deploy and extend whole DCN Networks. nomad DCN Design Wizard uses a simple step-by-step process combined with powerful topology visualization to make planning, deployment and extension of DCNs easy. Mass automation of tasks equates to BIG man-hour savings, being up to 5 times faster. To put this in figures, complete DCN Design for a cluster that would usually take 5 days would take just 1 day. Work Order generation reduces the time taken from data export to receipt by field team from approximately 3 hours to just 10 minutes. BIG cost savings are made from task automation as well from the ability to run DCN Design in a single system, saving licensing, support and end-user training costs. Increased accuracy reduces operational costs over time. Automation of tasks removes the human error occurrence while authentication algorithms ensure the configuration is error-free. The simple interface gives users complete understanding and control of the design process. Compared with conventional DCN design, these features achieve a reduction in error rates from 1 in 10 to less than 1 in 100. Do you want to have access to our help resources you’ll need to support the use, management and maintenance of nomad products? Then register for free. Create a free Big Vienna account.